When curmudgeonly software tycoon Harrison Hunt issued the challenge that his four sons must marry within one year, or forfeit their inheritances, Justin Hunt couldn’t believe it. 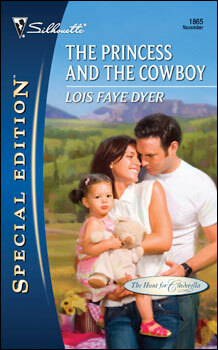 The family ranch was his flesh and blood, and he’d do anything to keep it. Even if anything meant marriage. Now he’s chasing after entrepreneur Lily Spencer, the only woman who had ever come close to touching his guarded heart. But when he turns up on her doorstep, Justin finds more than an angry ex-girlfriend waiting—there’s a little girl in her arms that looks a lot like him! Lily Spencer sipped her first cup of organic green tea while standing at the kitchen island, the pages of the Seattle Times spread out over the white marble tiles in front of her. Early morning sun spilled through the skylight above her as she read, slowly turning the pages and enjoying the peaceful, quiet moments before her daughter awakened. She skimmed the business articles and flipped the page to the Seattle Life section. A photo of a jogger at Green Lake was prominently featured in the top two columns. Lily caught her breath, the gently steaming mug held motionless halfway to her lips. She narrowed her eyes and stared, trying to make out the man’s features, but his face was turned away from the photographer. Still, she knew with gut-deep conviction that the jogger was Justin Hunt. Broad shoulders and upper arms were left mostly bare by a gray tank top with a University of Washington logo, the muscles of his thighs and long legs powerful beneath the hem of black jogging shorts. Sunlight gleamed off sweat-dampened tanned skin. She skimmed the brief caption beneath the photo, confirming her guess. The jogger was indeed Justin Hunt, in town for meetings the reporter speculated were important since all four of the Hunt brothers had been seen in Seattle over the last twenty-four hours. Lily leaned over the counter, her fingertips brushing the photo. Then reality intruded and her lips firmed, compressing into a frown. She set her mug on the counter with a distinct snap. So he’s back in town. So what? She’d stopped jogging at Green Lake after Justin dumped her. The wide asphalt track that circled the lake had been her favorite spot to run but the possibility she might see him, either alone or with another woman, wasn’t one she cared to chance. Nowadays, she jogged along the waterfront, timing her visits to avoid the arrival of the cross-sound ferries and the wave of traffic from the passengers and vehicles they brought with them. The baby monitor sitting on the counter next to the toaster crackled, followed by the subtler sound of rustling bedclothes. Lily glanced at her wristwatch and smiled. Right on time, she thought. “Ma-ma. Ma-ma.” Ava’s voice came clearly over the monitor. Lily folded the newspaper and left the kitchen for her daughter’s bedroom. Ava looked up the moment Lily opened the door, grinning with obvious delight and holding up her arms. Ava responded with a string of sounds interspersed with several “mama’s, chortling when Lily nuzzled her downy cheek. Lily carried Ava downstairs, tucked her into her highchair, and shook a handful of Cheerios onto the tray. As Ava carefully picked them up, one by one, and tucked them into her mouth, Lily switched on the kettle for her daughter’s morning oatmeal. Justin is ancient history, she thought. He’s probably in town for a meeting at HuntCom and will be gone soon. She picked up the newspaper and dropped it in the recycling bin, determined to forget the photo. And Justin Hunt, as well. The morning after the conference call with his brothers, Justin woke early. Just before six a.m., he carried a mug of coffee, a tablet and a pen out on the deck. Several streets below, sunlight sparkled on the waters of Puget Sound. An ocean freighter lumbered slowly through the deep water toward the Port of Tacoma to the south. Its ponderous size and speed made the boxy white-and-green Washington State ferry appear sprightly and swift as it neared Colman Dock on the Seattle waterfront. Much as he loved his Idaho ranch, Justin couldn’t deny that the Pacific Northwest was stunningly beautiful on this sunny July morning. He tipped his chair back, propped his bare feet on the seat of a neighboring chair, ankles crossed, and wrote a name in capital letters at the top of his potential bride list. She probably never wants to see me again, he thought, remembering the Tiffany bracelet she’d returned the morning after he’d broken off their affair. The box was unopened, his note still sealed in its envelope. The messenger who brought back the items had told his secretary Lily herself had writen Return To Sender in black script across the front of the envelope. Justin had left Seattle the next day and had rarely returned over the following two years. Long days spent in punishing physical labor had exhausted his body but hadn’t stopped his mind from thinking about her. Finally, after months of pain, the ache in his chest where his heart was went numb. He figured that meant he was finally over her. But you haven’t stopped thinking about her. You haven’t forgotten her. He couldn’t deny the truth of the words. The walkway to Lily’s condo was swept clean and edged with flowerbeds filled with bright Martha Washington geraniums and lacy green ferns. Justin rang the doorbell, idly noting the tidy small porch with its wicker bench and the dried herb wreath that hung on the wall above it. The minutes dragged by. Impatient, he pushed the button again, the ring of the chimes muted through the thick door. Maybe she’s not home. Disappointed and frustrated, Justin half-turned to search the quiet street but saw no one. In a last attempt before leaving, he turned back and pushed the bell one more time. “What?” The single word was filled with annoyance. 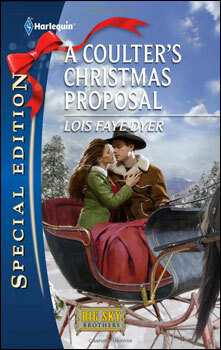 A frown veed sable brows above green eyes that widened, flaring with shocked surprise as Lily stared at him. Deep inside Justin, something unsettled calmed, easing and filling the emptiness that had been his constant companion for months. His memory hadn’t betrayed him. The green eyes, high cheekbones, and lush mouth with its full lower lip were exactly as he’d remembered. Lily’s shoulder-length hair was tousled, the sunlight glinting off streaks of blond in the dark brown mane. His gaze moved lower and belatedly, he realized she wasn’t alone. A little girl perched on Lily’s hip. Her tiny shoulders and arms were bare above the blue terrycloth towel wrapped around her torso and her chubby little legs and feet left damp spots on Lily’s shorts. The toddler’s coal black hair clung to her cheeks and nape in damp curls. Her green eyes were framed in thick black lashes and when she smiled at him, a dimple flashed in her cheek next to a rosebud mouth. The toddler had Lily’s eyes. And his hair and dimple. He dragged his gaze from the little girl and met Lily’s. Emotions chased across her expressive features – surprise replaced by swift guilt that was quickly banished by the defiant lift of her chin. Then she slammed the door shut. The door flew open. “What do you want?” she demanded. “Do you really want to have this conversation on your doorstep?” he asked grimly. Her gaze flickered over his shoulder and a small, forced smile lifted the corners of her mouth. She waved. “Hi, Mrs. Baker. Nice evening, isn’t it?” She stepped back and held the door wide. “Come in,” she hissed at Justin. The moment he stepped over the threshold, she closed the door and quickly moved farther into the room to put space between them. End of Excerpt. Like it? Order it!